CLUB 43 was started in 2008 by Club 43 Director, Annie-Adamczak-Glavan, a NCAA All-American at Nebraska and former professional player. 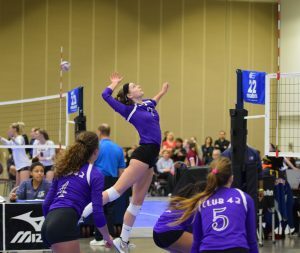 Through Annie’s leadership and dedication, CLUB 43 offers student-athletes the highest level of volleyball instruction in the Midwest. She instills in her coaching staff and in her student-athletes the drive and desire to always Play with a Purpose! 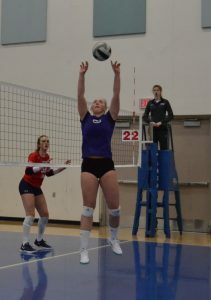 Our mission is to develop great volleyball players in a competitive, fun, environment both in training and play. We want all of our players to love the game and instill in them that hard work, dedication, and competition is what pushes them to greatness. Our philosophy is to place the best players on the highest team in their in their age or in a combined age group. Playing time is not equal – the more skilled players will play more than their teammates. However in the Molten Series or if a team is in the loser’s bracket of a tournament – coaches will relax this philosophy and play everyone as equal as possible by position. Our players and parents are investing a lot of money and time in our club and it is the club’s responsibility to provide our players with quality coaching, training, facilities, and management. We want all of our teams to be competitive and win. However, winning and losing are the variables but the drive to compete at the highest level is our standard. Our coaching staff at CLUB 43 is evolving every season. 2018-19 is our 10th year and our coaching staff’s skill and knowledge has improved again this year. We ask all of our coaches to challenge their players every day in practice and insist on their best effort. Our coaches will not tolerate bad attitudes, tardiness, lack of hustle or the desire to compete. Whenever they step on the court we expect our student-athletes to Play with a Purpose!